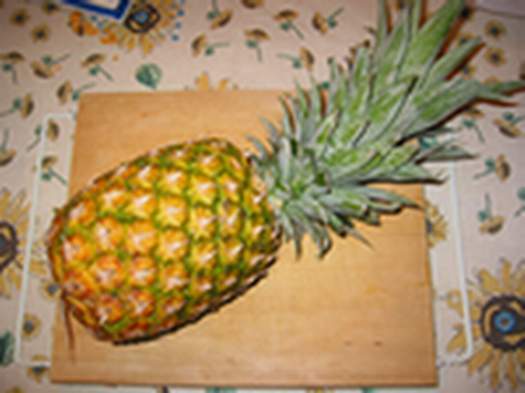 I love pineapples, and after reading how to plant one to grow a new pineapple, I decided to try it. I found a couple of useful sites: smile and act nice and you grow girl. 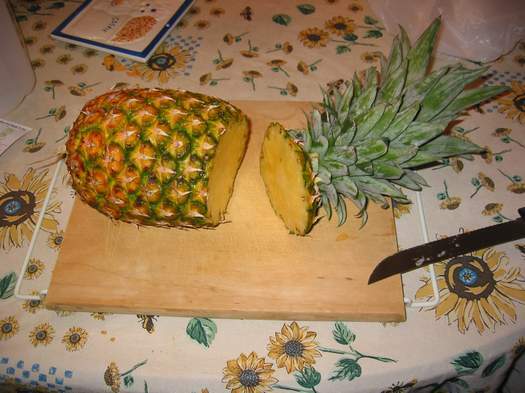 First, I cut the top off the pineapple. 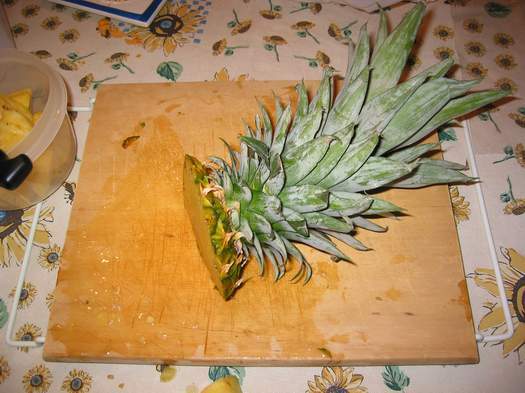 Whallah, the top of the pineapple. 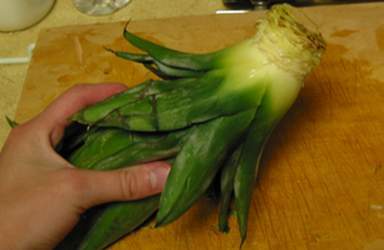 Then I kept slicing off little pieces until I could see where the roots are already starting to grow. One week later. 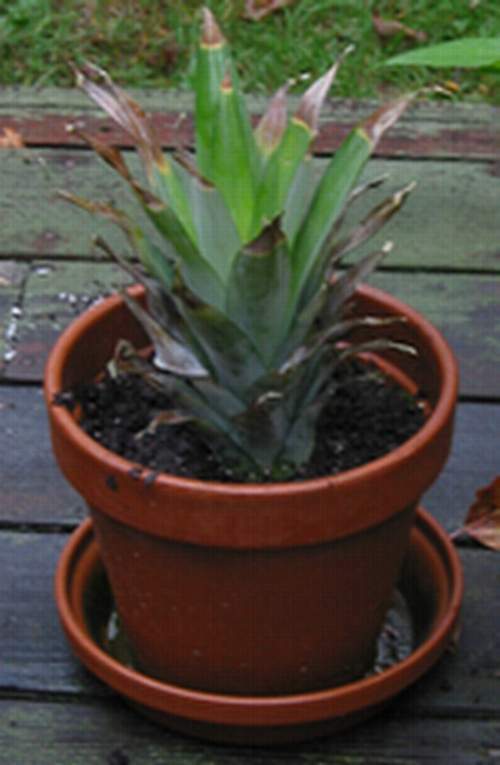 While my pineapple was sitting in water, the leaves started to turn brown and die. So I decided to plant it in dirt and see if it would survive. Update: it is now several months later, and the plant is still alive. 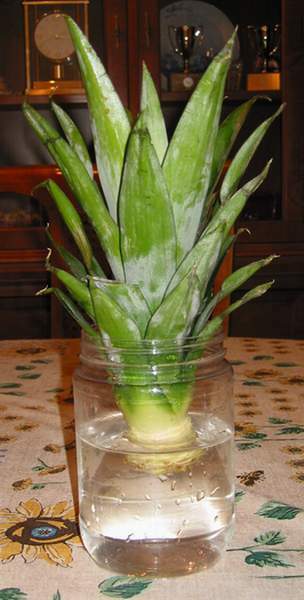 Supposedly a little pineapple should begin growing sometime in the next year or so, I'll have to wait and see..